We’re a flat-pack generation, but we still want to feel like we have something cool, stylish, and uniquely “us” whenever we make a big purchase. If Dutch artist Jurgen Kuipers gets his way, we’ll soon have a cool, stylish, flat-back bicycle with plenty of opportunities to customize the thing and make it uniquely ours. Jurgen’s calling his “IKEA bicycle” design the Sawyer Cycles chopper, and it’s brilliant! The Sawyer has already won design awards in Europe and as far away as Taipei, and the prototype shown here is meant to explore some of the customization options possible with this renewable/recyclable wood frame. In this case, high-quality pedals, a front suspension, high-end disc brakes, and a springer-style cruiser seat help to make Jurgen’s Sawyer uniquely Jurgens. I feel like I’d put a trike axle at the back of mine, and maybe a Rubbee, but – like, narrow. 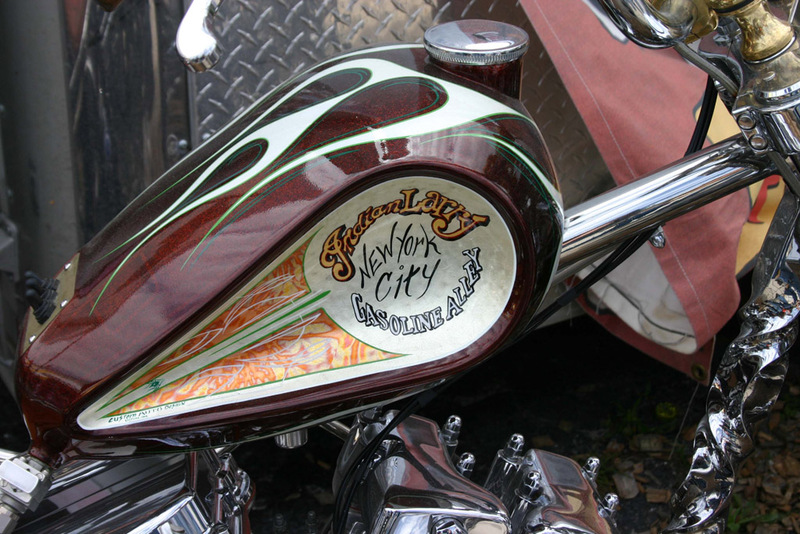 Yeah … a narrow trike, with maybe some Indian Larry-style details burned into the wood before I give it a dark stain. Jurgen hopes to partner with an established bicycle manufacturer or wooden furniture flat-packer to get the concept into production and out to the public. What do you guys think? Is it a natural for IKEA? Would you buy an IKEA bicycle? Is something like a Sawyer what you need to convince you to join America’s bicycle-commuting revolution? Let us know what you think – and how you’d build yours! – in the comments, below. Source | Photos: Sawyer Cycles’ official site, via Motorpasion.